I am posting this a bit early. I wanted to give you a little time to try the ideas below so that you don’t have to start them at midnight on February 13th! Whether you celebrate Valentine’s Day, or just love chocolate, love seems to be in the air this time of year. A profound tender, passionate affection for another person. I remember when we first brought our daughter home. In between the sense of overwhelm and fear that if we didn’t “do it right” someone would come take her back, I developed this incredible sense of love for our tiny infant. It was something so strong I couldn’t describe it in words. I was a actually a bit worried when we brought her sister home that this would hurt, or somehow diminish, the love I had for her. It didn’t. It’s amazing how much a heart can grow! Some of you are going through challenges with your children and aren’t feeling that love right now. I get it. Believe me – we have both teen and pre-teen girls in our house! It can be very hard at times to remember the love you felt when you were first getting to know your child, whether that was at birth or any age you brought a child into your life. Here are three things to help you get that feeling back. It won’t happen overnight, but try one – or all three – to help you feel the love between you and your child more often. 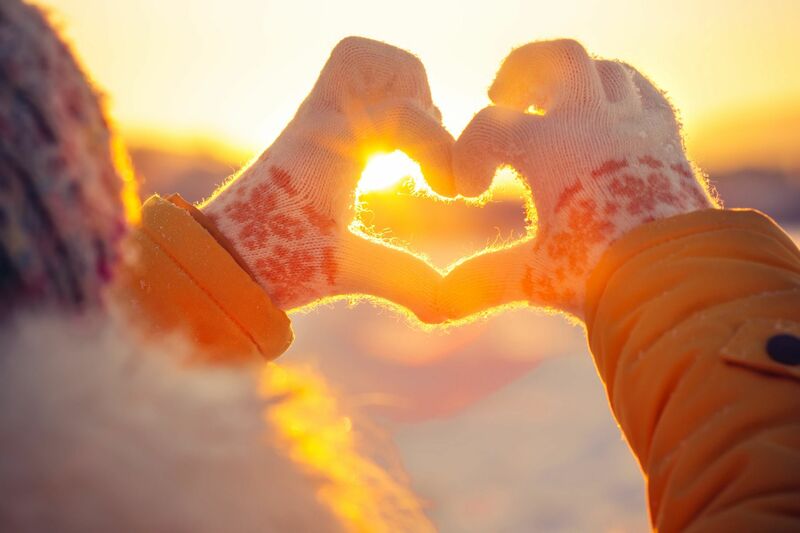 Take some time to think about what you most love, admire or enjoy about your child. Put this in a letter and mail it to your child. Be sure to include what makes you most proud to call him/her your child. If writing a letter is not your thing, write a “Top Ten Reasons I Love You” list. Some ideas to get you started: I love your smile, kind heart, how you care about your friends, share your toys nicely, how you cuddle with our dog, when we brush our teeth together and see who can get their teeth the cleanest, …. Be creative. 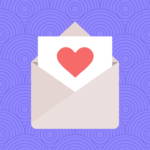 Write a short and sweet love note to your child and put it in his/her lunch box or leave it at the breakfast/dinner table each day of Valentine’s week. “Have fun in school today” or “I love your smile” are two ideas. Cut out large hearts in different colors. 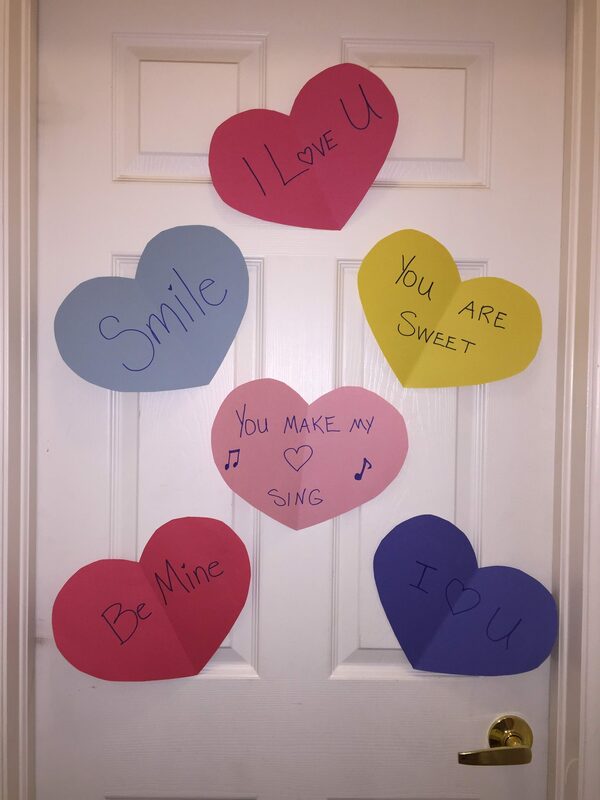 Write notes on each of the hearts and tape them to your child’s door. 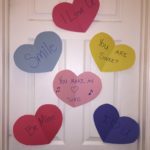 The notes can be things you love about your child or you can use candy-heart sayings (Be Mine, I Luv U). You could even stick one heart per year that your child has been alive – this is easier for kids to understand when they are older. Be aware that younger children might wonder why they didn’t get as many hearts as their older siblings, so just be ready with an explanation. If you have a young child who can’t read yet, glue or draw pictures onto the hearts. The pictures can be of family and friends who love your child or fun/cute pictures from magazines or the internet. Sometimes it’s the little things that can melt a heart and see big changes. This is not just for new parents – if you have worked with me before, you can take advantage of this, too!